BACKWARD CLASS DEVELOP COMMITTEE is located in ananad Gujarat . BACKWARD CLASS DEVELOP COMMITTEE is registered as a Society at nadiad of state Gujarat with Ngo unique registration ID 'GJ/2012/0050354' . 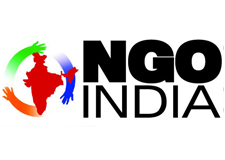 The NGO registration is done by Registrar of Societies with registration number f349anand on the date of 17-08-2001, Its parent ORganaisation is backward class develop committee. The Chairman of BACKWARD CLASS DEVELOP COMMITTEE is babu bhai punja bhai talpada and Chief functionary officer is babu bhai punja bhai talpada.